I often begin humorous speeches with that joke because it always provokes laughter from the audience. Why? First, people can identify with being busy and dealing with house guests. Second, there is an unexpected twist at the end. You can substitute aunt with mother-in-law, depending upon the strength of your marriage and assuming she’s not in the audience. No one says, “Oh, you shouldn’t have said that!” The audience knows I’m joking, but they laugh anyway because it’s a funny scenario. After they stop laughing, I immediately add a second image. That story also guarantees a laugh. Why? Because the audience can see my aunt sick in bed and feels tender support for my visit. Then the silly image of her sucking off the chocolate hits their funny bone. For added emphasis, I use a southern drawl for my aunt’s voice. It’s all in great fun and causes the group to relax and prepare for my speech. Without a humorous introduction, it would take more time to connect with the listeners. A well-timed, original joke can be the beginning of a wonderful relationship between a speaker and an audience, and between friends. Caveat: don’t read jokes, and don’t tell them if you’re not comfortable with public speaking. Rehearse the stories out loud so you get the timing and phrasing correct. A well-delivered punch line can be a golden experience as the audience reacts and instantly loves you. Conversely, a dull, lifeless and insecure presentation is painful for everyone. Make sure the joke is not on you. 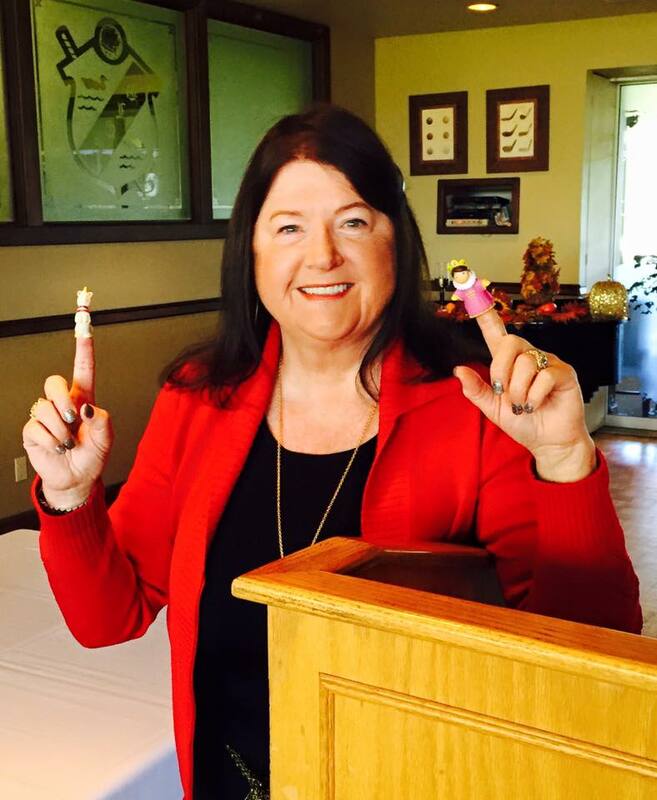 Next spring I’m packing my finger puppets, best jokes and sensible shoes to travel from Boise, Idaho to Dayton, Ohio and then to Las Vegas, Nevada to speak at two energizing conferences. I’ll incorporate humor throughout my talks, and create stories and anecdotes to enhance the message. Regrettably, now I need to find new opening jokes. 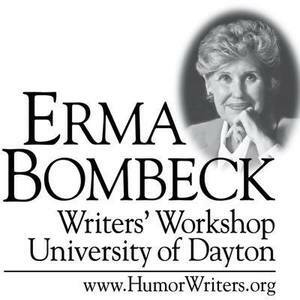 The prestigious Erma Bombeck Writers’ Workshop is March 31-April 2 in Dayton, Ohio at the University of Dayton where an astute professor once told his student Erma Bombeck, “You can write!” My presentation titled “Write Funny, NOW!” will include quotes from Bombeck’s material and incorporate writing prompts. I’ll also lead a workshop explaining how to turn a blog into a book. Registration for the bi-annual conference sold out in less than six hours. The BAM-Bloggers at Midlife Conference will be April 15-16, 2016 at the Marriott Las Vegas Resort & Spa and is the first blogging conference focusing on midlife women bloggers. The midlife blogging community, facilitated by Midlife Boulevard, asked for a place where they could get together and learn from each other and from experts. I’ll be speaking on a panel with two other humor writers. Registration remains open for this conference. Back in Boise, I’ll present a humor writing workshop for the Idaho Writers Guild on Saturday, June 11. At all the presentations, I’ll have finger puppets, new jokes and at least one new book. Apparently, people want and need to be happy. I’ll do my part to facilitate a few chuckles and provoke boisterous laughter because there are too many grouchy people getting all the attention. 1. Switch off the news. Balance your intake with funny shows, movies, books and silly friends. 2. Avoid crabby people. Hang out with those who like to laugh. 3. Practice laughter. Read daily positive, humorous affirmations and focus on all the good stories. Go forth, cause laughter and enjoy the show.